Proud to have an author like Murali. 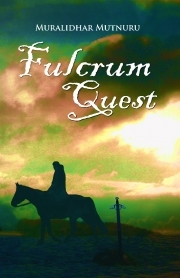 The book Fulcrum Quest is filled with thrill and arouse interest to the readers. Congratulations to the young talented author of this book. The author proved that he is none to any foreign author. Join hands to pat indian author Mr. Muralidhar Mutnuru.